Kungfu4less.com offers a large variety of Master Line Karate Uniforms manufactured using 100% cotton fiber and constructed keeping in mind the traditional sewing methods of the past. 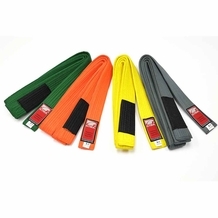 They are available in various sizes and weights, especially of heavyweight karate uniforms, making the martial artist comfortable while practicing their art. Kungfu4less.com is able to offer the Masterline of Karate Uniforms made with 100% cotton, available in all the popular sizes. 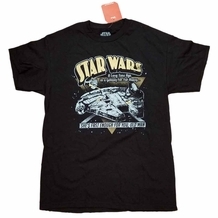 Ranging from light and medium weight we also provide Heavy Weight Karate Uniforms. 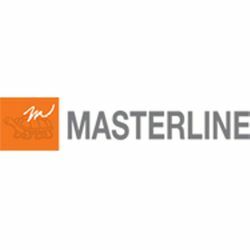 The available Masterline karate uniforms are breathable, resilient and permeable. 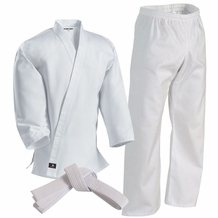 We also have available a complete karate uniform set bundle, which includes white jackets, pants, with a drawstring waist. The competition is definitely going to be tough and approaching the mat in a well cut, heavyweight gi can actually impress the judges. A heavyweight gi is soft and comfortable, but strong enough to handle the rough physical contact of grabbing and throwing. We offer you this Heavy-Weight Karate Uniforms 12oz at lower prices while maintaining the quality of the uniform at the same time. If you are not sure about the sizes and the proper GI to buy, our knowledgeable staff will assist you to the best of their ability.